Wednesday | March 1, 2017	After a whole month of binging on festive goodies, are you looking at fulfilling your resolution - Stay on a healthy diet! Hey, look no further, this month Bakerzin promises you sweets with a free flow of vitamins & health benefits! Inspired by the incessant demand for matcha everything & the rising popularity for Yuzu, Bakerzin hits the right notes with this creation. Its lightly sweetened shortbread crust & crumble will definitely win you over, coupled with a light green tea cheese mousse, chocolate yoghurt & yuzu mousse. DID YOU KNOW? GREEN TEA is loaded with endless antioxidants & nutrients, with many powerful effects like lowering the risk of cancer & blood pressure! YUZU, commonly known as Japanese grapefruit, contains 3 TIMES MORE Vitamin C than a lemon! Furthermore, there's collagen to rejuvenate one's maturing skin & activates cell & fat burning effect. YOGHURT is beneficial to the gut, thanks to the healthy bacteria, commonly known as Probiotics. Probiotics are effective in constipation & bloating. Research from University of Tennessee, Knoxville has concluded eating 18 ounces a day & you can drop a jeans size! 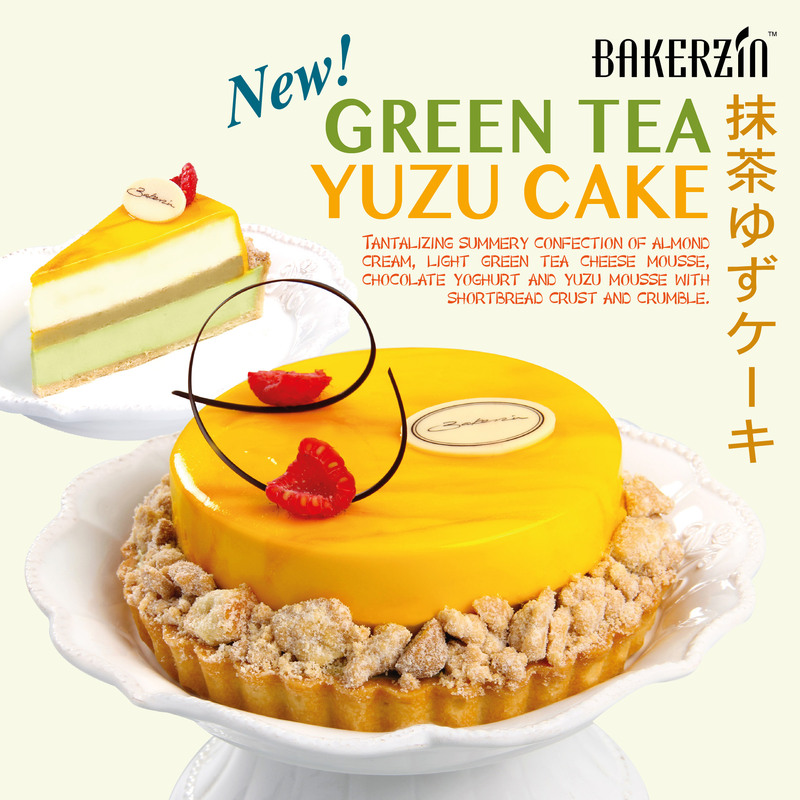 This is an immediate precursor for you to start dieting by eating healthily with Bakerzin's Green Tea Yuzu cake today! Available online & in-store from 1st March 2017 for a limited period. Get yours now! Disclaimer: The above statements are not intended to diagnose, cure, treat or prevent any diseases and illnesses.